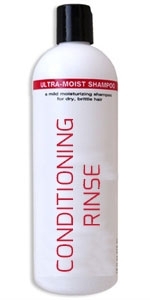 This light daily conditioner restores moisture and adds tensile strength to hair in just sixty seconds. This light daily conditioner restores moisture and adds tensile strength to hair in just sixty seconds. Smooths and seals the hair's sensitive cuticle layer, locking in nutrients and proteins vital for healthy hair with no build up. Special conditioning extracts will tame even the most unmanageable hair. Rinses away easily. Dramatically improves hair texture and suppleness for a velvety feel. Your hair will be more manageable, fuller and shinier with every use. pH balanced.